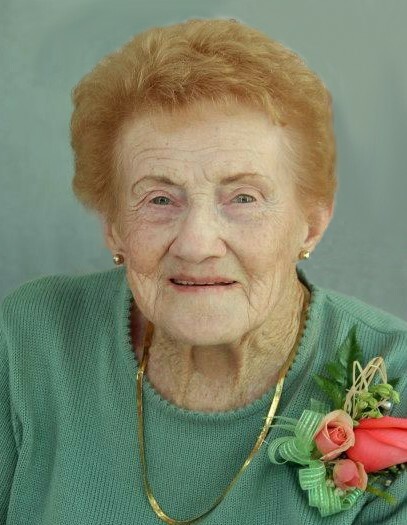 Bette Marie Jensen, 97, of Ephraim, passed away on September 10, 2018 in Centerfield, UT. Bette was born on December 3, 1920 in Fallon, NV to Frederick & Dora Miller Hawkins. Bette married Byron Jared Jensen on October 3, 1939 in Richfield, UT. He preceded her in death on June 9, 1992. She was an active member of The Church of Jesus Christ of Latter-day Saints where she served faithfully in many callings. She was involved in various clubs and was an avid bowler since the bowling alley opened. She was employed by Stubbs, Inc. for approximately 30 years and retired from working at the Sanpete Sampler. Bette was a dedicated mother and grandmother. She loved crocheting and spending time in her yard. She is survived by her children: Jerrelyn (Jerry) Blankenship; Cathy Fox; and Rolayne (Lamar) Barton all of Ephraim; daughter-in-law, Carol Jensen of St. George; 15 grandchildren, 35 great-grandchildren and many great-great grandchildren. She is preceded in death by her parents; husband; son, Michael; daughter-in-law, Nellie Faye Henningson Jensen; brothers, Harold and Frederick Jr. Hawkins; granddaughters, Trina and Janette.